Contact Memphis Center on frequency 135.075(GCO) for departure clearance when number 5 for departure (DO NOT ATTEMPT TO OBTAIN CLEARANCE THRU FLIGHT SERVICE). Advise Memphis Center via the GCO frequency when number 1 for departure. Pilots wanting VFR flight following should make the request on the following ATC frequency at the distance specified. Please do not contact the ATC facility until you have reached the specified distance from the Oxford Airport. 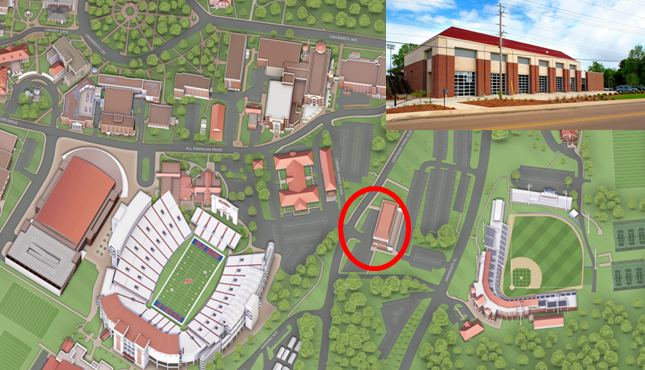 The airport is located within the football stadium TFR that is in effect one (1) hour prior to scheduled kickoff until one (1) hour following the game. When the TFR is in effect for the football games without a temporary control tower, it is recommended that: Arriving aircraft contact Memphis Center on frequency 128.50 prior to reaching 5 nm of the airport; Departing aircraft contact Memphis Center on frequency 135.075, this is the frequency for our Ground Communication Outlet (GCO). Click here for the full Stadium TFR! The Control Tower will be only used for special events such as SEC football games. Hotty Toddy! ***Above prices are in force Friday 7:00 am through event conclusion and cover customers for the full weekend (non-event attendees not exempt from above price schedule). ***Special event fees will not be waived with fuel purchase.